1) Premier Horgan and the NDP have long had concerns about the costs of the smeters and the program itself. But those are the only costs they need to know and do something about. While in opposition, they were told that the smeters have and continue to cause financial stress for BC Hydro’s customers through increases in consumption that often make no sense. For the last 6 years when the smeters were first installed, people reported having large increases in their electricity bill, in the consumption in addition to the rate increases. When BC Hydro was asked for an explanation, people were told silly things like it must be because the customer bought a new hot tub or had a large group of people visiting. Junk like that. They refused to acknowledge that the smeters could be running fast or somehow be defective. They would offer to remove the meter to have it checked for a $100 fee but, by so doing, any defect would be “corrected” similar to a TV being rebooted. An Engineer said the only way to determine if there is a problem is to check the meter over an extended period of time exactly where it is – in the socket on the home. 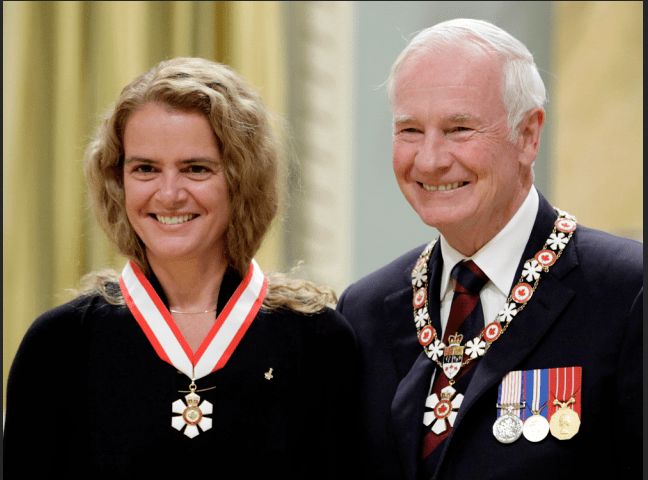 “I too have seen a steady increase in my electricity bills since we got smart meters in 2012. The first year was no change, but after that my bills started to rise and rise and rise, and are still rising now. When I contacted BC Hydro about it, you can guess what their stock reply was, despite my telling them I’ve changed my electric usage/habits in NO WAY WHATEVER. They insisted I must have more gadgets plugged in or doing something different now. They keep on repeating that no matter how much I assure them that my pattern of usage is the same as it was before the steady increases began. It’s useless trying to communicate with BC Hydro employees. They are well-trained in giving stock replies which they never deviate from, so it’s essentially like talking to badly programmed robots that are trained to ignore reason. Janis Hoffmann collected similar emails over a period of time and sent them to the Liberals, who never cared enough to even respond. Now, she has sent them to Premier Horgan. Her letter is below. Let’s hope that the NDP’s attitude is different. People are desperate and things are not getting better. 2) In California, people want to know how many signals are emitted each day from their smeters. Landis+Gyr admit there will be over 1,700 (or about 1 per minute, day and night) for a total of 83 seconds. This is much lower than found in testimony by PG&E or in material provided by ITRON, for example, but it’s much higher than utilities initially report which is usually 4-6 per day. Also, the total of 83 seconds a day is more that ITRON/BC Hydro have admitted. The utility likely can control the number of transmissions, depending on the amount of info they want to get from the smeters or the data updates that are performed, etc. 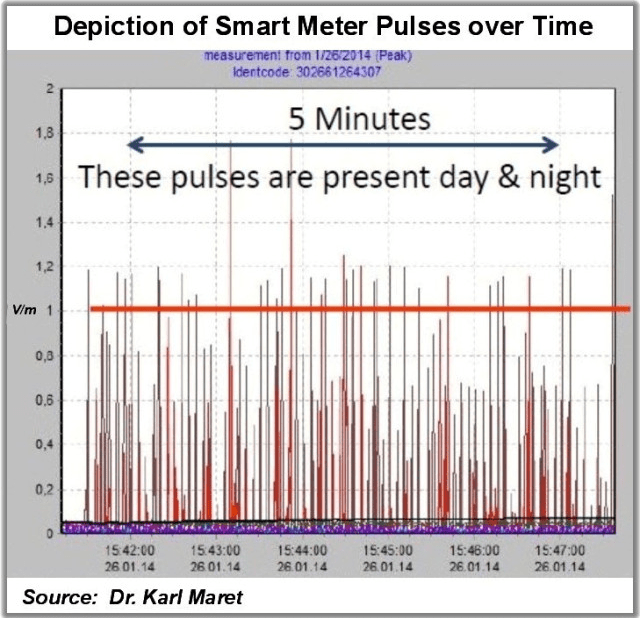 According to AMP’s website, the smart meters, which are manufactured by Landis & Gyr, a worldwide smart meter and smart grid manufacturing company, emit about 83 seconds of RF frequency waves per day. This comes from 270 maintenance transmissions per day and 1,440 sync transmissions per day. Each transmission lasts a few milliseconds. 3) The former head of the FCC (Tom Wheeler) in the USA explains how 5G will affect every aspect of our lives from “pill bottles” to plant watering systems (at the 5 minute point of the video). Microcells / small cells outside every home and in every object we own or use. Why? To gather data on all of us, for marketing purposes, to control us? If Wheeler is right, the level of RF in our environment will be many times higher than it is now and, for many, there will be no escape from the pain of EHS. For the rest of us, the health effects will increase. 4) It is virtually impossible to buy a car that doesn’t have all of the wireless gadgets, and more are being added regularly. Here is a test showing the effect on the brain from this radiation. It is Swedish with English subtitles. The brain is being assaulted and the researcher says that this can lead to changes in behavior, etc. I wonder if this is contributing to road rage, for example. I am attaching a letter (see below) I wrote on Dec. 27, 2014. As it now stands, the situation has not changed, except in my health. 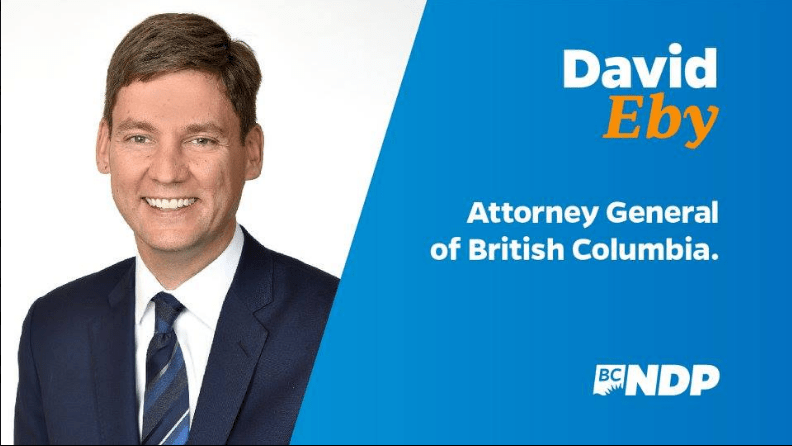 I believe that the people of B.C. have been “stung” by the previous liberal government and B.C. Hydro. (1) I did not want an illegal wire tapping device on my home. (3) They transmit rf which may or may not be dangerous, but I do not wish to be a “lab experiment”. (4) They create dirty electricity in house wiring. (5) They have no surge protection. All my electrical/electronic stuff could become “toast” in that event, and I would have a tough time collecting insurance. Since 2014, I have been diagnosed with a heart condition, and who really knows that the rf emitted by the smart meter will affect it? The industrial scientists say it’s ok, but the rest say no! I do have reasons for my opposition, but this is not the issue that now confronts all people who purchase electricity from B.C. Hydro. Due to 8 smart meter fires in Saskatchewan, the smart meter program has come to a halt. In B.C. there have been at least 13 smart meter fires and over 20 smart meter failures, and there is no let up in the ongoing deployment of these hazardous devices. It would appear that the people of Saskatchewan are more entitled to safety than we are. It appears to me that the spokespeople for B.C. Hydro are in denial when the issue of “smart meter” fires. Indeed, Mr. Gary Murphy, who reviewed a recent fire involving a smart meter, stated words such as: Our current review strongly suggests that an overload on the resident’s power panel was the cause of the fire. Mr. Murphy, by what he stated, does not appear to understand that any overload on a residential power panel would have been prevented by the action(s) of the circuit breaker(s) on the panel itself. I know this for fact as I am a retired journeyman electrician. Years back, B.C.Hydro stated that the smart meter program was mainly to stop the 12 million dollars loss per annum due to electricity theft. Within 5 years, B.C. Hydro stated that there was 100 million dollars lost per annum for the same reasons! To solve this problem, B.C.Hydro is going to spend 2 billion dollars to save 100 million dollars! How much profit is there in that, and how inept is our law enforcement to allow that great an increase in illegal grow ops? 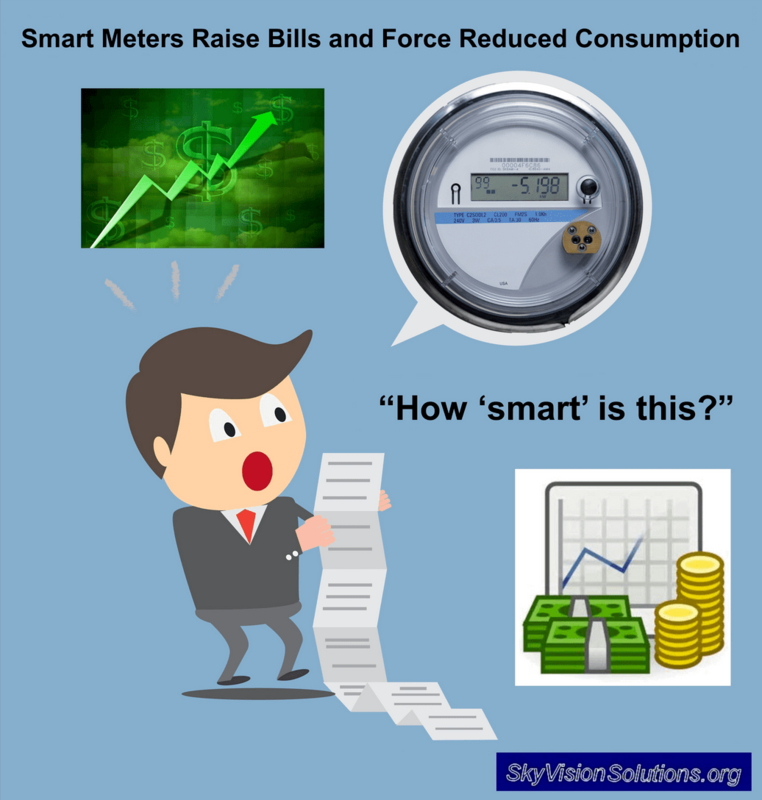 Many people now in the smart meter program have received exorbitant electricity bills, and when they inquire why, they are told that they are: using more power, the old meter was faulty, it’s the weather, etc. – never a faulty smart meter. If they want it checked out, they will have to pay for the inspection. The analog meter has proven to be extremely reliable with a life span of about 40 YEARS. It is a mechanical device and the moving part rests on jewel bearings. The “Itron” smart meter is an electronic device, should be shielded from the summer sun, as it might cause the lithium battery to explode. It also cannot withstand current or voltage overloads (according to what the failure findings show). However, an analog meter can! It is reported that it might last up to 15 YEARS. A removal of a reliable technology to a questionable one! The energy minister Bill Bennett says there is no record of smart meter fires in B.C. B.C Hydro does not keep records? He is also sorry that Saskatchewan has acted the way it did. The “expert” Gary Murphy either doesn’t know about circuit breakers, or he just made a Statement out of hand about the fire he “reviewed.” – $1½ million pay check! There was no real investigation about the economics of the smart meter program at the onset. The sudden jump from 12 million dollars to 100 million dollars in electricity theft in less than five years. The B.C. Utilities Commission appears to be a “rubber stamp” for the wishes of B.C.Hydro. 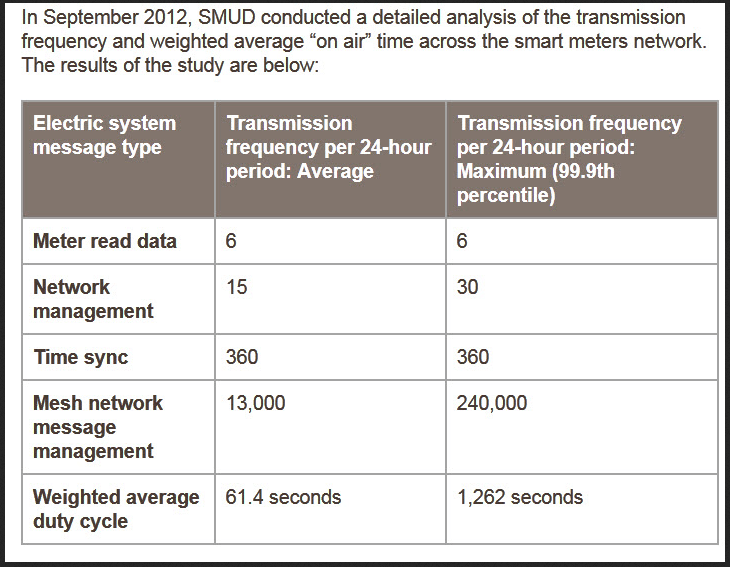 Independent scientists’ information about the harm of r/f from the smart meters and the grid has been totally ignored. I see a lack of honesty, integrity, and a lack of economic value in the smart meter program. I am asking that an audit be put into action to verify these problems, and rectify them if possible. I am worried that perhaps B.C. Hydro will become bankrupt. We may then find ourselves dealing with private business. Then how will we find them accountable? Starting back in 2012, I have been volunteering my time to the Coalition to Stop Smart Meters BC, providing information and support to the public about the mandatory installation of Smart Meters on our homes. I received 100’s of letters pleading for someone, anyone, to listen to their stories about the outrageous bills that BC Hydro was forcing hard working citizens to pay since the installation of the Smart Meter Program. These complaints were about the defective Smart Meters running fast and causing huge increases when compared to the previous years using the analog meter. I submitted 50 pages of just some of the letters that I had collected in a short period of time back in 2012/13 only to have them fall on the deaf ears of the Liberal Government who threatened these people with disconnections if they refused to pay. These people gave up any hope of anyone listening to their pleas for help. Stories of the mother on a disability pension with a young daughter and having to choose between food and paying her Hydro Bill. About the single mom with a new-born baby shivering because she was not able to heat her house because she was unable to pay her Hydro Bill. How about the old age pensioner who worked hard all their life and is now in their ‘Golden Retirement Years’ huddled under a blanket in the corner of the living room with a lit candle just trying to survive? Have you ever had to choose between heating your home and feeding your children? Please take time to read these stories http://www.stopsmartmetersbc.com/wp-content/uploads/2017/11/My-hydro-bills-are-shocking.pdf and hope that none of them are from friends or family that you know, or perhaps these will be the stories that will be told by your friends and family in the future. The taxpayers should not be expected to bear the burden of the Smart Meter Program that was set up by the previous government to line the pockets of their corporate friends. We need an independent investigation into this program and the public is counting on the NDP’s promise to make the citizens of BC’s life more affordable while improving the services we count on as essential.